Once upon a time, my office mates and I mused about how wonderful it would be to have someone come around in the afternoon to bring us treats—cookies and brownies, just like in grade school. Then, voila! 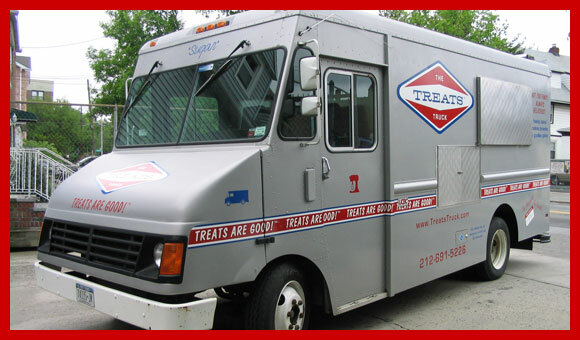 One day a couple of years ago, the Treats Truck started turning up around town, among the first of the new-wave food trucks trend. Our prayers were answered. And we couldn’t have asked for a more perfect, friendly Treats Lady than owner Kim Ima, who dispenses comforting goodies from her truck Sugar, (which responsibly runs on compressed natural gas). Her motto: Not Too Fancy, Always Delicous. Just like mom would have done…if she’d made cinnamon-stoked Mexican Chocolate brownies. Good thing I’d just bought some milk at the market. Meanwhile, another favorite not-too-fancy-always-delicous Brooklyn baker Eric Wolitzky of Baked is hanging on in Top Chef Just Desserts, outlasting a slew of show-offy pastry chefs because the judges always love how much flavor his recipes have. Lots of desserts may be pretty, but taste triumphs! Previous Post Bring on the Pomegranates!